High-grade original wrapping stickers. Products of Japan to the world. Let us help you "WRAP" your drones. 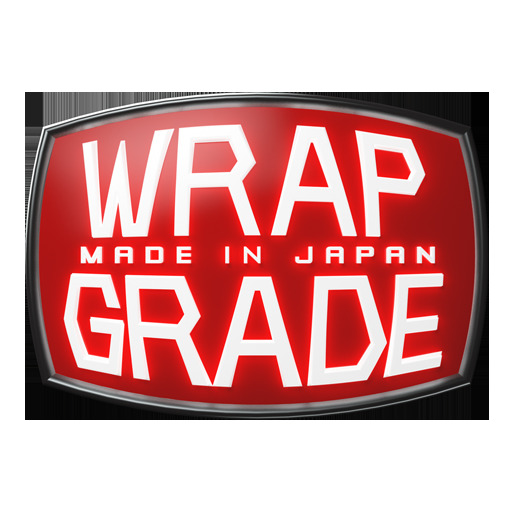 WRAPGRADE.JP is an international webshop managed by WRAPGRADE, specialised in drone wraps/skins. We produce original wraps/skins in Japan, using high quality 3M automotive-grade wrap films. We've studied every detail of each drone for the perfect fit -You won't find the highly accurate designed wraps anywhere else. Wrap your drones with your favourite color and ENJOY FLYING! Credit Card: Secure payments by Paypal. No Paypal account required. Paypal Express Checkout: If you have a PayPal account, there's no need for sign-in. PayPal will automatically enter shipping destination and payment method. *IMPORTANT NOTICE Golden Week Holidays* We will be closed from 27th April (Sat) to 6th May (Mon). We will start shipping on 7th May the orders we got during the period. You can choose a delivery method from some options. The estimated shipping time and cost will be displayed when you enter an address at the checkout. *The delivery time is not a guaranteed time but only estimated. *It will be an international delivery from Japan, you may need to pay customs duties, tariffs or some taxes (ex. VAT,GST) and storage fee and handling fee, We will not collect them in advance. Depending on the purchase price and the system of the country, you may need to pay to the relevant agency or company. *If any delivery method is not displayed, it means the area is outside our delivery service. We apologize for the inconvenience. 1. 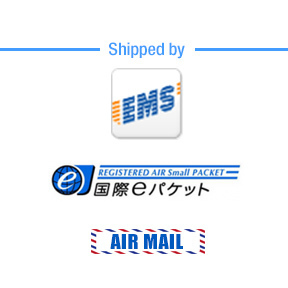 AIRMAIL(Small Packet): Worldwide free shipment when you buy a complete unit sheet or more than $30 in total. Otherwise, $4. Mailing service does not record your package. We cannot provide shipping support, answer questions and not provide refunds for any reason (ex: Lost package, Not received) if this method is used. Shop more than $50, the shipping fee will be $2 automatically. *Available only for 41 countries. Shop more than $50, you'll get a $5 discount automatically for the shipping cost. Tracking service is available. Signature confirmation is needed. Shop more than $50, you'll get a $5 discount automatically for the shipping cost. Priority handling. Tracking service is available. Signature confirmation is needed. For more shipping details please check this page. Dear customers in USA. Some items can be purchased on Amazon.com. Fulfilled by Amazon (Prime) available. Dear Korean customers. 한국에서 주문하시는 분들은 이름과 받으실 주소를 영어로 적어주세요. WRAPGRADE JAPAN | Mirai Create Ltd.